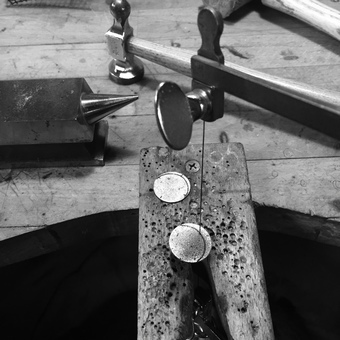 Cari-Jane Hakes creates sculptural, architecturally inspired jewellery to which her clients add their own special engraved messages. Cari-Jane Hakes is a goldsmith who designs and fabricates all of the pieces in her notonthehighstreet.com shop, in her studio at the foot of the Yorkshire Wolds in England. 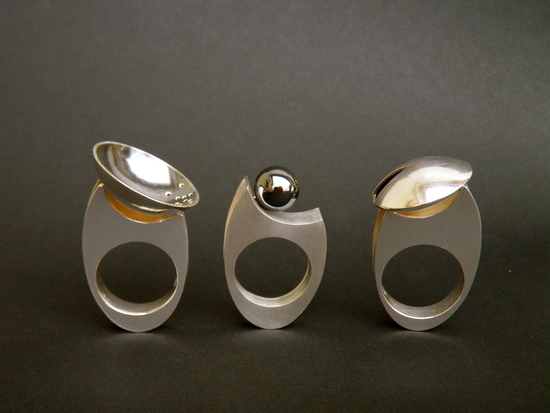 She is originally from Glasgow, Scotland and learnt how to design whilst studying to become an Architect. She ran a successful architectural practice in London for 10 years with Julian Hakes. They worked together on a variety of projects from chapels to bridges in USA, Moscow and UK. 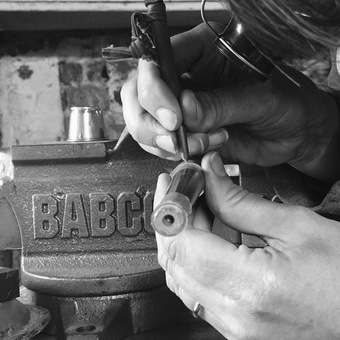 Whilst creating these designs for buildings and bridges Cari became focused on the details - the bits of architecture that scale a building down to the size of a human hand; door handles, staircases and benches for example. 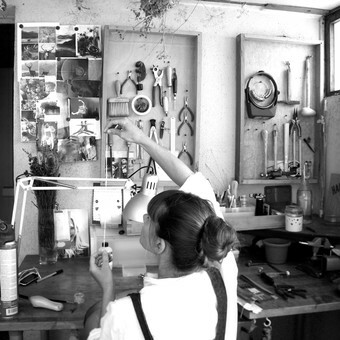 Cari began to learn the discipline of becoming a goldsmith in 2005 at Morley College in London. There she began to make tiny pieces of 'architecture' with very expensive materials! Her first collection for notonthehighstreet.com was released Autumn/Winter 2014. Moments that change your life forever. 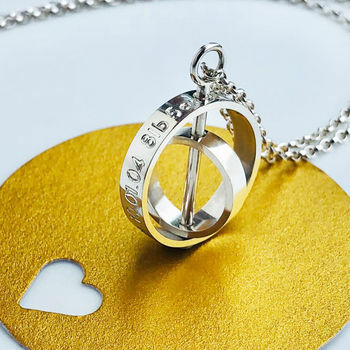 Love letters engraved on silver and gold. 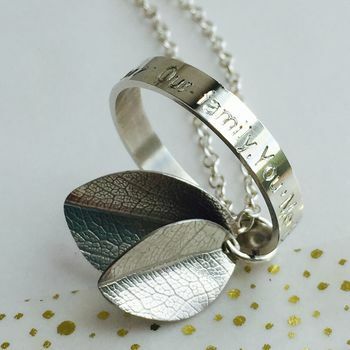 "Very happy with the necklace, my wife has worn it every day, and cried when she saw it :-) Thankyou"
"Bought for my daughters 21st birthday. It's apt to say she was over the moon with it. With tears in her eyes, she was amazed with her necklace. Thank you so much for such a wonderful and special gift idea." 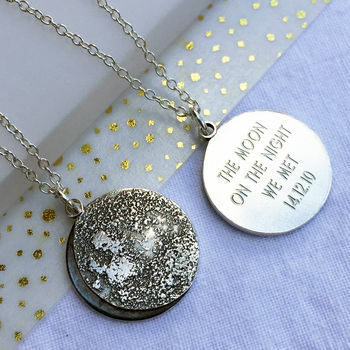 "We chose this necklace for our friends' 40th birthday present. Cari-Jane was brilliant. She got back to us really quickly and was happy to do exactly what we wanted. The necklace arrived in the most gorgeous packaging with a beautiful handwritten note. We all wanted to keep it! The birthday girl absolutely loved and put it straight on. A perfect present for a special friend and mum. Absolutely perfect. Thank you Cari-Jane x"
Free delivery options use Royal Mail first and second class post. If you need your order by a specific date please choose the express delivery option and this will guarantee your delivery on a particular day (fulfilled by Royal Mail 'Special Delivery before 1pm' service). 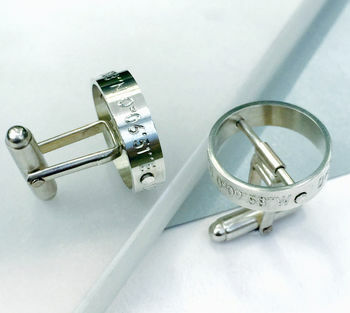 Personalised jewellery is non-cancelable and non-refundable.